The challenge for Photo Friday this week, June 17, 2005 is Sport. 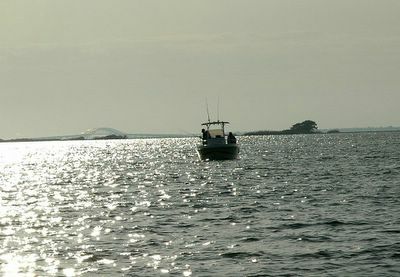 To many people on Long Island, fishing on the Great South Bay, is a sport like no other. It can sometimes be competitive, but for many the challenge is to find the "big fish" using the right bait. I liked this photo because of the way the sun shines on the water and the Robert Moses Causeway Bridge on this somewhat overcast day.